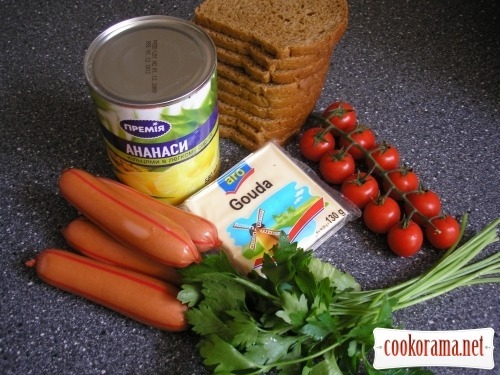 Cut sausages in half and in another 3-4 parts along. Let the juice out from the pineapples. 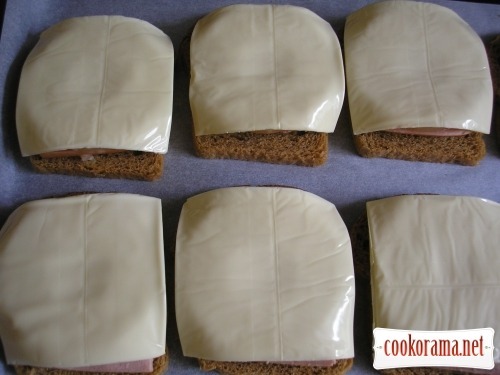 Lay baking paper on a baking dish, put the slices of bread. 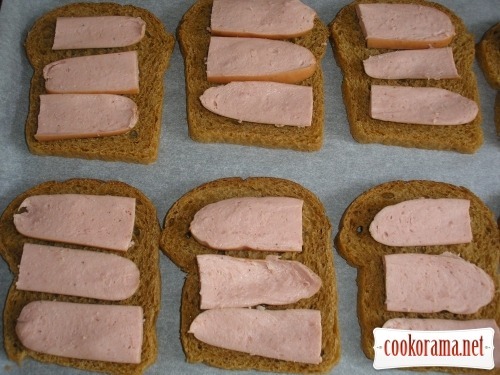 Put sliced sausages on bread. 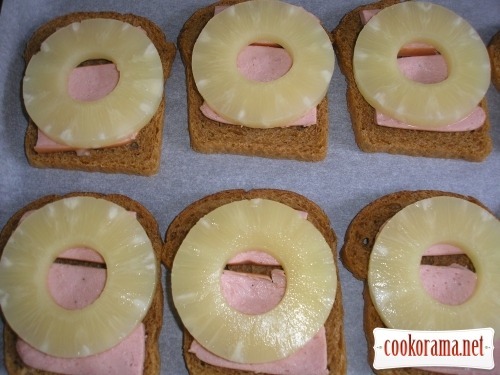 On sausages put pineapple rings. 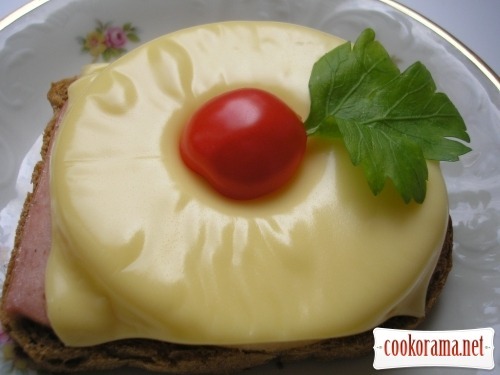 Cover with slices of cheese and put in oven. Bake at 180 degrees for 15-20 minutes. 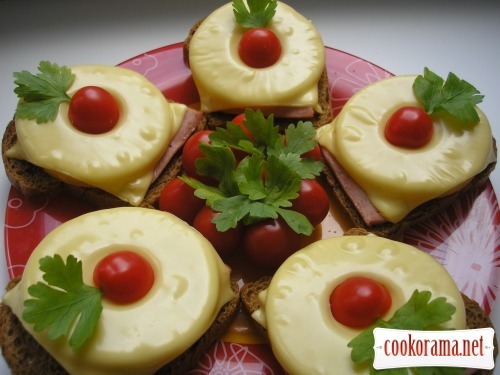 Cooked toasts decorate with cherry tomatoes and parsley sprigs. 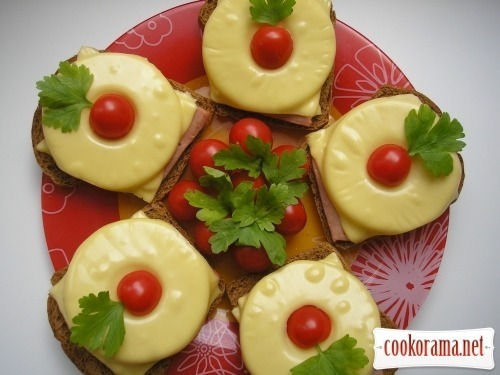 Top of recipe "Hawaiian toasts"
Гарне блюдо! Прикрасить будь-який стіл. ТОчно, дуже мальовничо, і з перспективою (щодо варіантів).